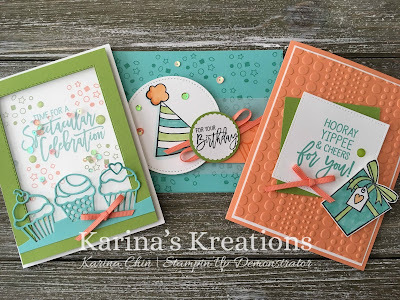 Karina's Kreations: Birthday Cheer Party Favor! 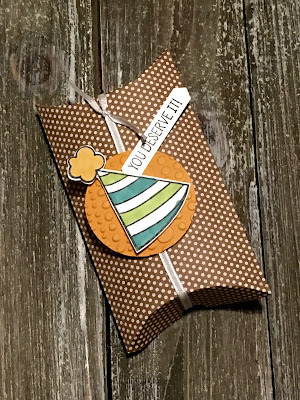 Once a month I offer a Card Kit by mail class. This month the featured bundle is the Birthday Cheer Bundle. I love the fun playful images in this set that is perfect for people of all ages. Here's a picture of my card kit by mail. If you want information go to the stamp set of the month link at the top of my page. 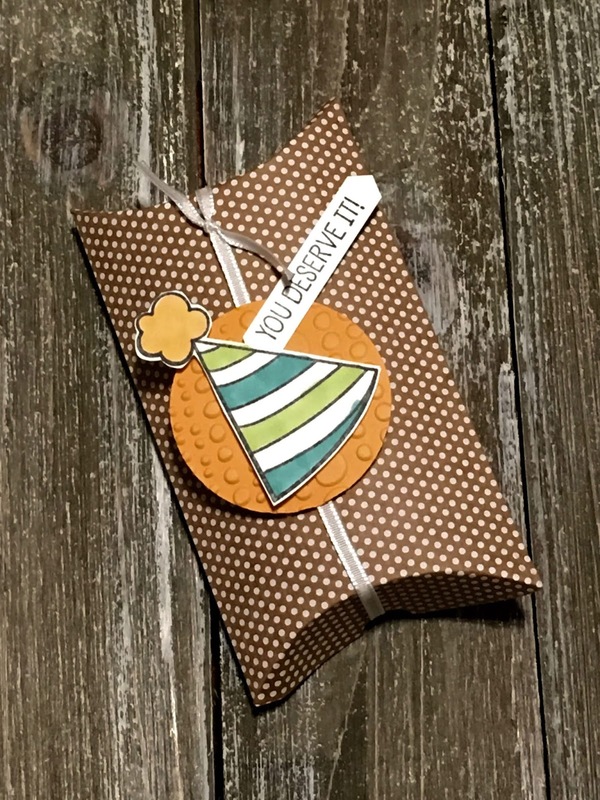 Once you have the supplies to make these cards, you can easily make a bunch of these coordinating party favors. They are quick and easy to make. Here's a facebook live video showing how to make the shaker card in this set. I'm a Canadian Demonstrator and would love to help you with your order. For an online order, please click on a picture below. It takes you to my online store. You can also email me HERE!